Sadie Rose Marino’s got it. And she’s only five. Sadie rides horses and takes Taekwondo. But her passion lies in dance. Jazz, tap, ballet, even hip hop. Did we mention that Sadie is only five? She has more interests than most adults. Sadie didn’t always take to dancing. In fact, when she started at age two and a half she would only participate as an observer. But Sadie persevered and stuck with dance. She went from being shy and observing classes, to the star of the show. And she loves it. And not only that, she’s good at it. “Dance just makes me happy,” said Sadie, whose favorite dance wardrobe combination is a tutu, motorcycle jacket and pink Ray-Bans. Sadie learned to love dance at Kick Dance Studios in Rumson, where she’s made friends and really connected with the instructors. “I’m friends with everyone!” said Sadie, the huge smile on her face evidence of her delight. The five-year-old has taken jazz, tap and ballet, and has her sights set on hip hop next. But what is it about hip hop that has Sadie so intrigued? “It’s so exciting and fun,” said Sadie. We can’t argue with that. Sadie can even do the splits, and is part of Kick Dance’s banana split club (three splits and you get a prize). Although, Sadie does admit that doing the splits is the hardest thing about dancing. Who can disagree? Dance has most certainly benefitted Sadie in other aspects of her young life. Her Taekwondo instructor says she has great form, balance and coordination, better than some students who have been taking classes longer than Sadie. That’s the dance shining through. But the biggest indication that dance has transformed Sadie’s life? Her self-confidence. Forty percent of adults say that have a fear of speaking or performing in front of others. Sadie conquered that fear before the age of five. 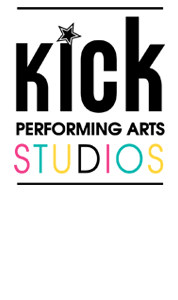 Kick Dance Studios has provided Sadie with an outlet for her personality and creativity to shine, giving her the instructors to guide her through the process and an environment nurturing to a young dancer’s needs. Sadie is learning what she likes and what she loves. She’s making friends and finding her personality. She’s building her self-confidence and learning dance techniques. Kick Dance Studios is celebrating its 15th anniversary this year, and we’ll be featuring some of our dancers, like Sadie, and the personal stories that make them unique. Copyright © 2019. KICK Dance Studios. All Rights Reserved.